Cook the fish fillet along with water, turmeric powder, vinegar and salt. Evaporate excess water, if any. Heat oil in a non-stick pan and add onions, green chillies and ginger. Saute till the onions turn light brown. Add pepper powder and garam masala. 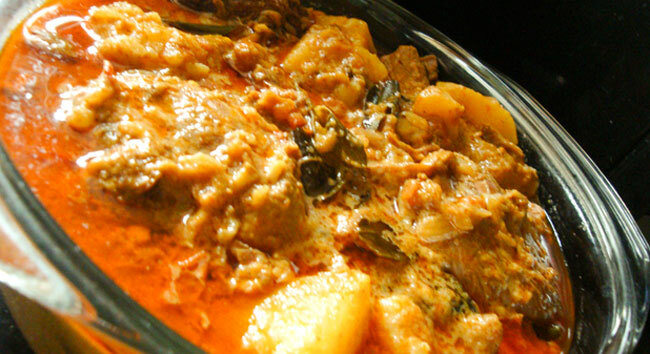 Add coriander leaves and cooked fish. Mix well and switch off the flame. Add mashed potatoes and mix well. 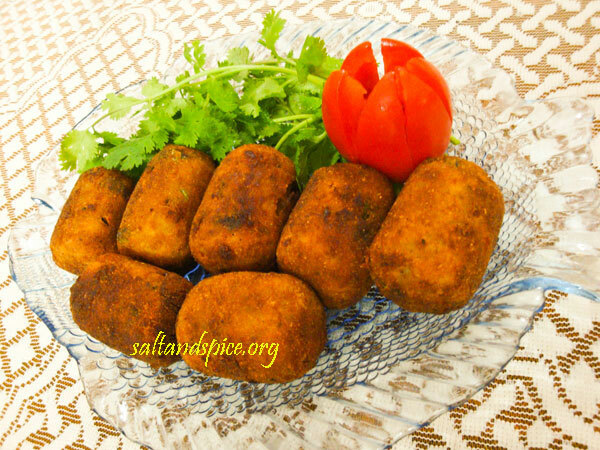 When the mixture cools, make cylindrical shaped fish cutlets. Coat them with corn flour. Beat the egg with 1 tsp of water. 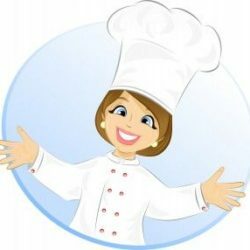 Dip the cutlets in egg and roll in breadcrumbs. Deep fry the cutles in hot oil. Serve delicious ‘Fish Cutlet’ with sauce of your choice. Enjoy with your kids! 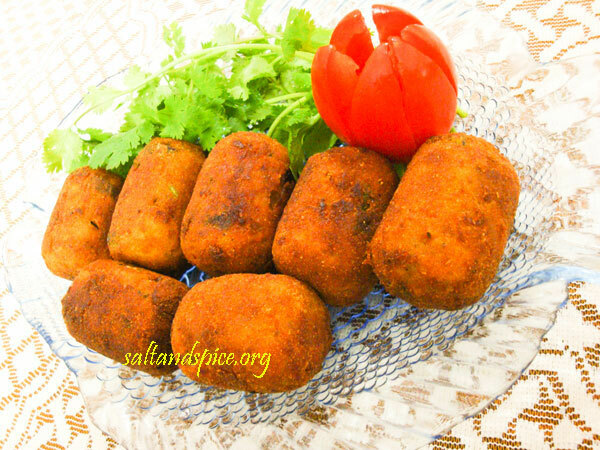 Love this fish cutlet, havent prepared some since a long.